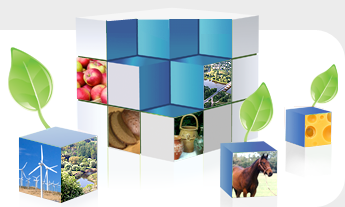 “Agricultural and Food Sector in Lithuania 2017” is the nineteenth edition of the annual publication by the Lithuanian Institute of Agrarian Economics (LIAE). This is an analytical economic survey of agriculture and processing industry, prepared referring to the statistical information, accountability data of companies, and the findings of research conducted by the LIAE staff. Relevance of the publication has been enhanced by the starting discussion on the Common Agricultural Policy (CAP) post-2020 in the European Union (EU). Lithuania will also join the discussion as a participant. In discussing the strategic goals of Lithuanian agriculture, it is necessary to survey the experience in the utilisation of the EU support and to distinguish the topmost achievements and most important problems. The publication provides the five-year period variations in the agricultural and food sector development indices, special attention focusing on the 2017 outcomes. Pursuing the option for comparing the key tendencies, data in all surveys is provided under the single methodology and structure. As in any previous years, some provisional statistical indicators for the year 2017 have been used. Final economic and financial outcomes will be reflected in the later publications of the Department of Statistics of Lithuania (Statistics Lithuania) and in the next-year LIAE survey. Minor statistical data discrepancies are possible due to rounding of figures. The publication is intended for all interested in the achievements and problems of the agricultural and food sector. Material provided here might be useful for agricultural specialists and scientists, farmers and entrepreneurs, teachers and students. 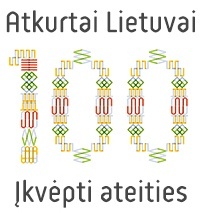 Our sincere gratitude goes to the executives of the Department of Statistics and the Ministry of Agriculture of the Republic of Lithuania, the Agricultural Information and Rural Business Centre (AIRBC) and their staff members for provision of statistical information and advice. Dear readers, we are kindly looking forward to your remarks and proposals. Agricultural and Food Sector in Lithuania 2017. Autorių kolektyvas: R. Melnikienė – vadovė... [et. al.]. – V.: Lietuvos agrarinės ekonomikos institutas, 2018. – 90 p.: iliustr., lent. (online) ISSN 2351-6321. Quoting requires reference to the source and website address.